Installing accordion door is more convenient rather than having a wood door or glass door in your home. Wood and glass doors are heavier to open. They also create a loud sound whenever you closed it quickly and also expensive, which is not practical especially now when our economy is down. 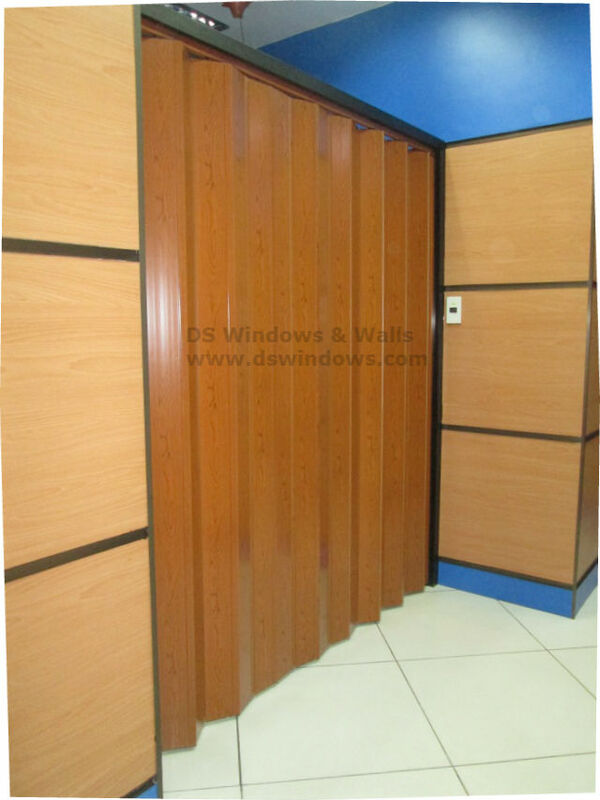 Our client from Rosario, Pasig City purchased PVC accordion door for their commercial area. This type of door is very easy and very light to operate unlike wood and glass door because it is made up of light material called PVC or polyvinyl chloride. It is also supported by rollers inserted in a track that attached on top for easy sliding. It can be installed in any part of your home that needed division or door, best in humid areas like kitchen, laundry and bathroom since PVC is waterproof. The main purpose of accordion door is for division, making it applicable for home, schools, offices and other wide space areas. PVC accordion door offers different types and colors that will complement in any home type. 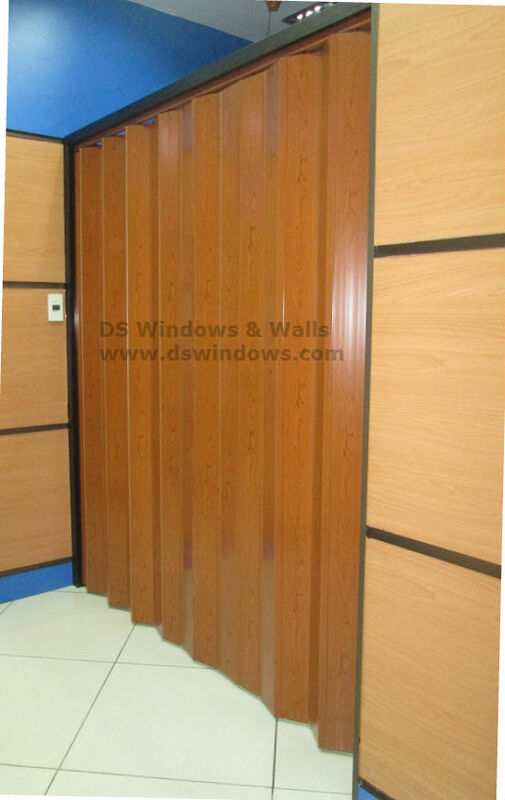 DS Windows & Walls gives you many options in choosing the best accordion doors and other home interior supply that will suit best in your home. We also do site visit for measurement for FREE within Metro Manila. For inquiries, you may email us at inquiry@dswindows.com or you can call us at (02) 893-1373 / (02) 403-3262 / (02) 668-9668 or 0916-311-3909. For actual samples of our products, you can visit our shop located at 4th level Waltermart, Makati City, 3rd level Robinson Metro East, Pasig City and 2nd level Pacific Mall, Lucena City.